The word "consciousness" is originally derived from the Latin con (with) and scire (to know), meaning knowledge-with, that is, shared knowledge. Consciousness has been defined loosely as a constellation of attributes of mind such as subjectivity, self-awareness, sentience, and the ability to perceive a relationship between oneself and one's environment. Consciousness is thought to involve thoughts, sensations, perceptions, moods, emotions, dreams, and an awareness of self, although not necessarily any particular one or combination of these. Perhaps no aspect of mind is more familiar or more puzzling than consciousness and our conscious experience of self and the inner and outer world we perceive. It is arguably the most central issue in current philosophy of mind and is also importantly related to major traditional topics in metaphysics, such as the possibility of immortality and the belief in free will. 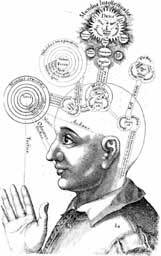 There are two broad, traditional and competing theories of mind -- dualism and materialism (or physicalism). While there are many versions of each, the former generally holds that the conscious mind or a conscious mental state is non-physical to some degree. For example, in many religions, consciousness is closely tied to the ancient notion of the soul, the idea that in each of us, there exists an immaterial essence that survives death and perhaps even predates birth. It is believed that the soul was what allowed us to think and feel, remember and reason. Our personality, our individuality and our humanity were all believed to originate from the soul. Whereas the latter holds that, the mind is the brain, or is caused by neural activity, but exactly how chemical and electrical signals between trillions of brain cells called neurons are transformed into thoughts, emotions and a sense of self is still unknown. There have been many exciting discoveries of modern physics creating a new view of consciousness and the way it is coupled to our physical nature in the brain. One of the fascinating aspects of Quantum theory which puzzles contemporary physicists is the way in which their quantum description of matter requires that they recognize the consciousness of the observer as a factor in certain experiments. This enigma has caused quite a few physicists to take an interest in spirituality. There have also been proposed theories including a possible correlation between consciousness and the pineal gland. It is thought to be the origination point of consciousness, a door to other worlds, or even a virtual reality projector, creating illusions of reality.